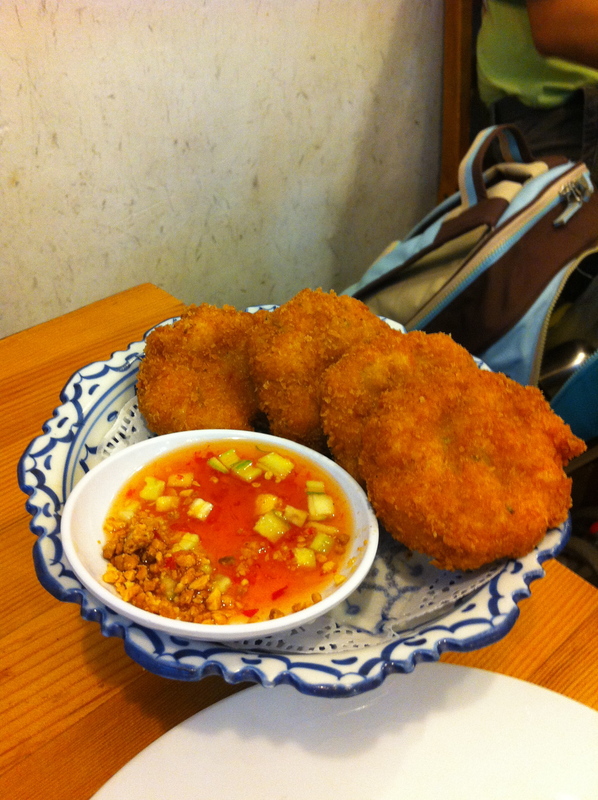 After spotting it from a taxi we headed to Nakhon Kitchen in Bedok. An authentic Thai restaurant in a row of shops under a HDB. I feel I have to give you a warning up front, I am going to gush. This is currently my favourite restaurant in Singapore so there you go you have been warned. Well I’m still new to this whole thing and so not sure how this is going to go but come on the journey with me on this one. We weren’t really sure where it was so had a little walk around Bedok as we got our bearings. Eventually found it and it was full but there was no queue. We asked the waiting time and it wasn’t very log. So we went and sat down on the public bench in the street to read the menu. We were fairly quickly told that we had to queue at a certain place until we had ordered, which seemed very strange. 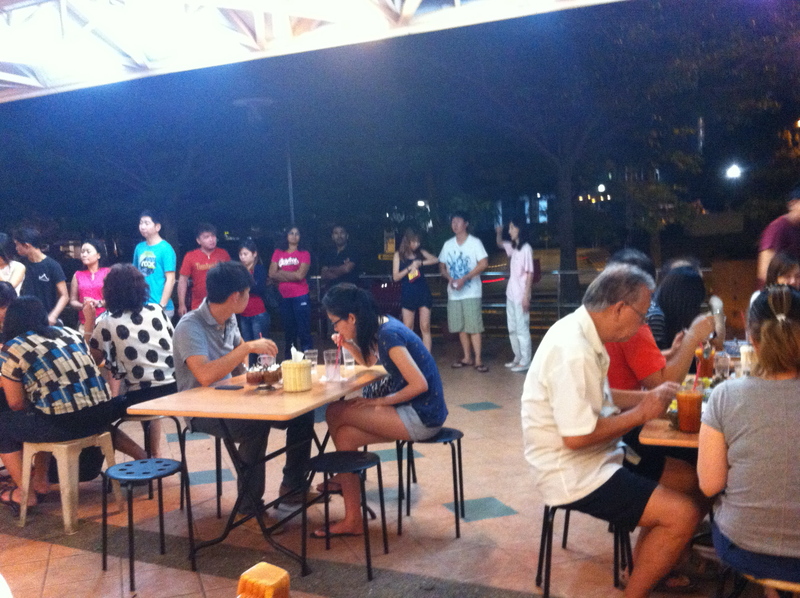 After we got seated it quickly became clear why, as you can see below a long queue appeared from nowhere. So pro tip, get lucky with your arrival time. Thanks for the “really helpful” tip! Why’s this place so good again? I’m getting there calm down. The reason this place is so great is that it’s real. Stools and formica tables outside clearly isn’t 5 star nor is the music which alternated from Thai rock to Thai modern (well I’m guessing it was Thai, I don’t speak the language). So the ingredients would be a marketing mans nightmare but it works. You can tell that mum in the kitchen and daughter front of house are running the show (again I don’t know for a fact they are related). The pictures of the Thai king and queen are up there not for show but because they belong there as does the waving cat on the counter. There you go the reason I love this place is that you are in a real restaurant in real Singapore not Thai Express. Little confession, my favourite bar in Karbi was the pickup truck with stools in the road gutter. So it’s got nothing to do with the food? Oh yes, restaurant reviews are supposed to talk about the food aren’t they? The food is also really good. We ordered prawn cakes for starters, why do they call them starters in Asia? They invariably arrive with the rest of the food and all the food turns up sporadically not at the same time. Anyway I digress, the prawn cakes were fresh out of the frier and so pro tip two is to let them cool down first. But once my tongue had recovered from being burnt they tasted great. 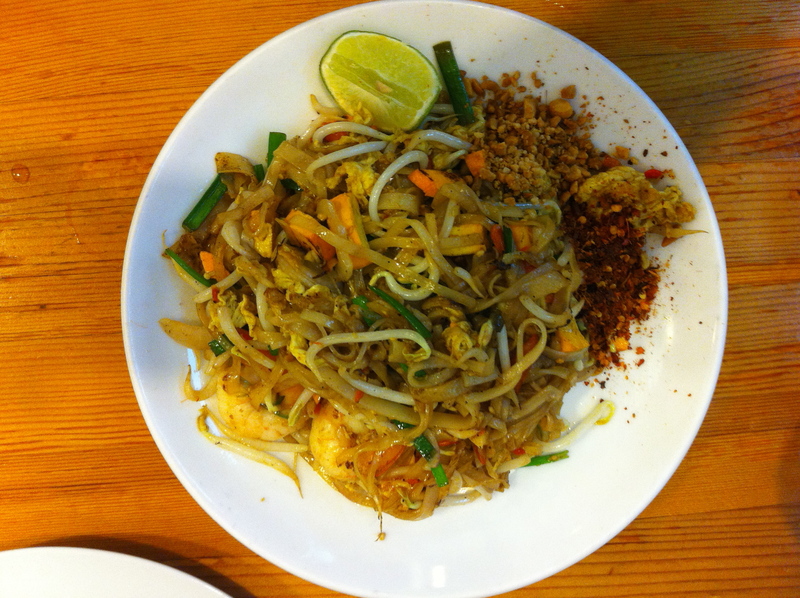 My wife went for the Pad Thai, as she says you can tell a good Thai restaurant but it’s Pad Thai. Not sure I agree as I’m more a Thai curry person but that’s a discussion for another day. Time for pro tip three, don’t mix all the chillies in straight away. Whilst it was cooked to perfection and tasted great, due to the over mixing in of chillies it took a mouthful or two to get used to. Feeling that we should order some vegetables we went for the stirred fried asparagus. Nice and crunchy, good sauce, but hey veggies, so really an after thought for me. Hang on, burnt tongue and food at the top end of hot for your favourite restaurant? Hum need to work on my food description skills. Really the food was great they got it just right, could so easily have crossed the line. All told it came to $46 including my 3 beers (buy 2 get 1 free) and a sprite which I think is great value especially as we over ordered. Clearly we will be going back and I can’t wait. Also note that there is another one in Hougang. Looks yummy! 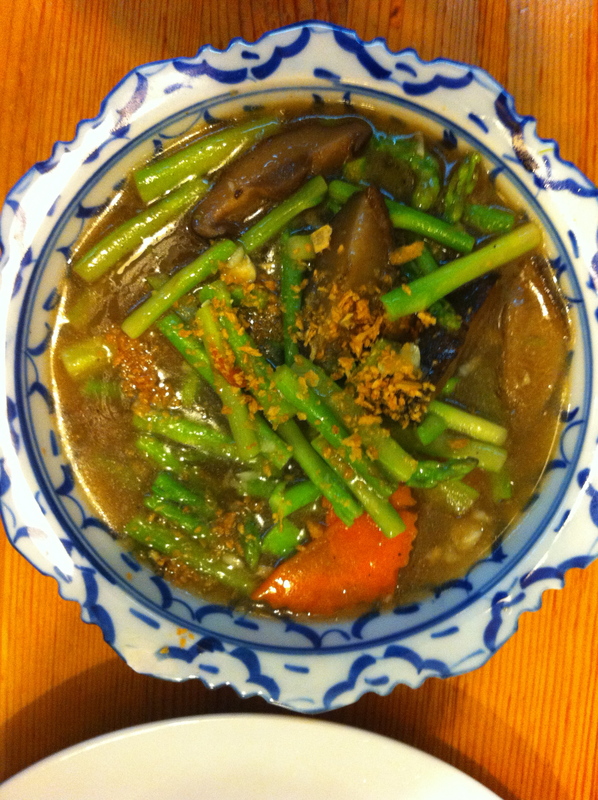 I love Thai food and good authentic one! 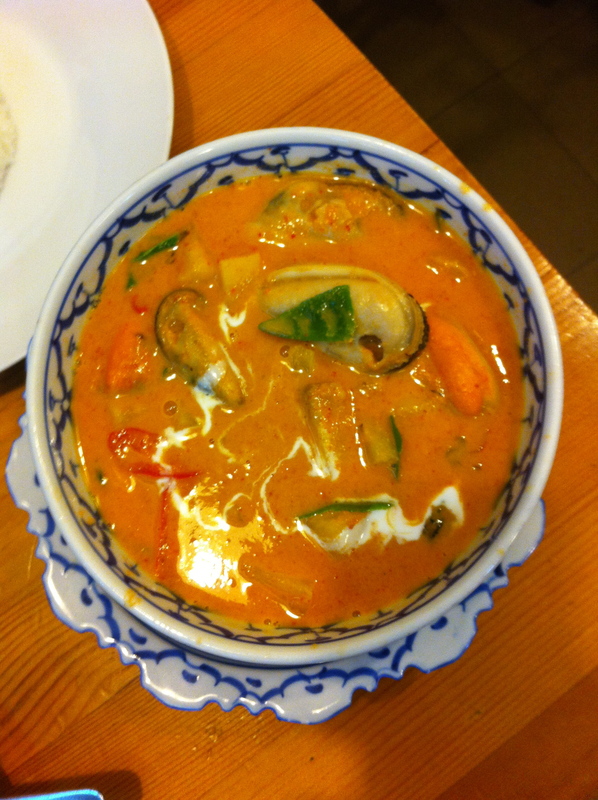 Love Tom Yum the most. Was that one superb? Another good Thai restaurant is in Funan centre call Aro Thai or something. Check that out! Will do the next time we are in that part of town, but to be honest it’s not very often that we venture to central.